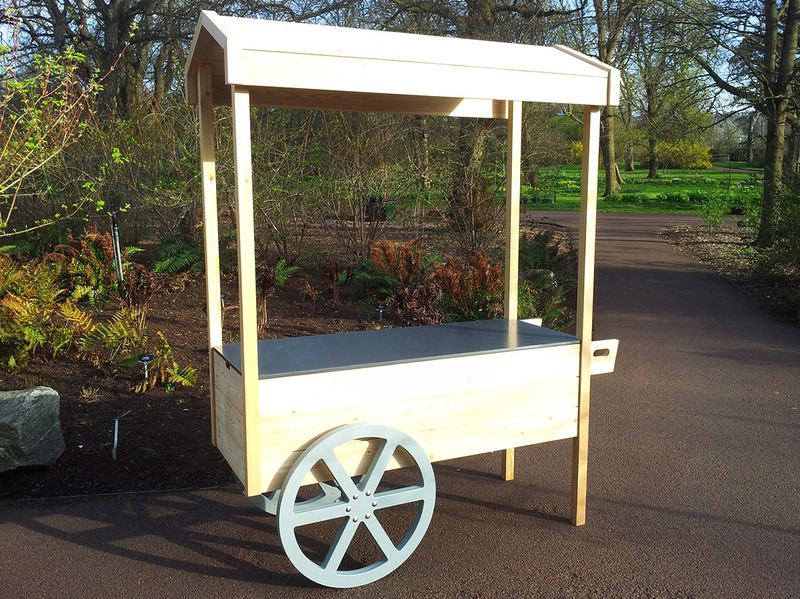 We were commissioned by the Royal Botanic Garden Edinburgh to create a workstation on wheels, for use during their Edible Gardening Project. 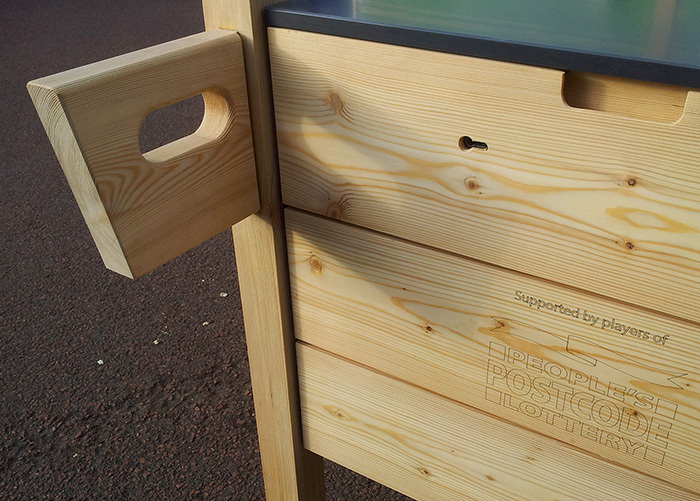 The furniture was used during live educational tutorials, with the requirement to be robust and withstand messy gardening substances. 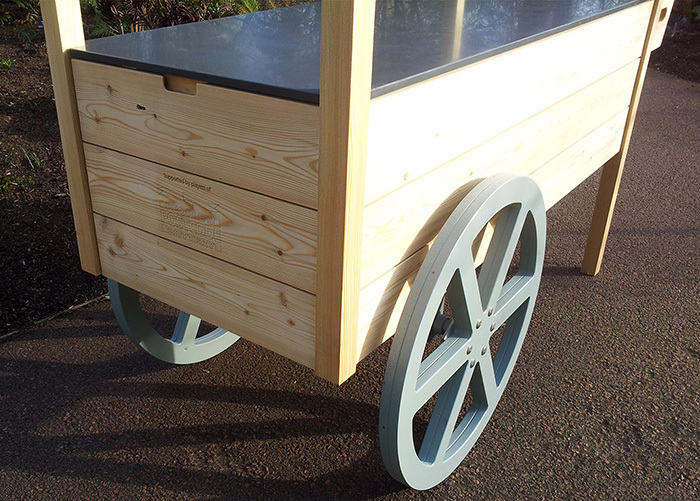 To reflect the project’s sustainable ethics, untreated larch was used for the cart’s main body, a material which would silver naturally over time. The work surface was constructed from HI-MAC, a natural acrylic stone that uses an eco-­friendly manufacturing process and easily recycled at the end of its life.